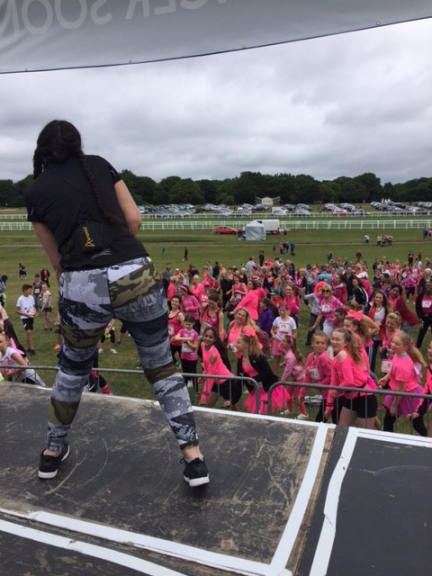 Epsom Downs became a sea of pink on 25th June as hundreds of women joined the fight against cancer by taking part in Cancer Research UK’s Race for Life. Over 1500 mums, daughters, sisters and friends showed their incredible commitment to the cause as they came together to help bring forward the day when all cancers are cured. Now organisers of the 5k and 10k events are sending a heart-felt message of thanks to everyone who took part and all their supporters. 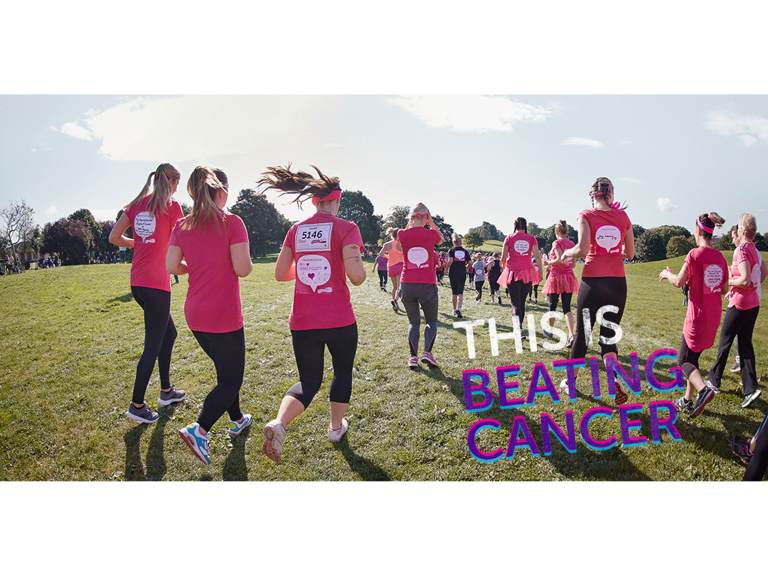 Cancer Research UK’s Race for Life, in partnership with Tesco, is an inspiring women-only series of 5k and 10k events which raises millions of pounds every year to find new ways to tackle cancer. 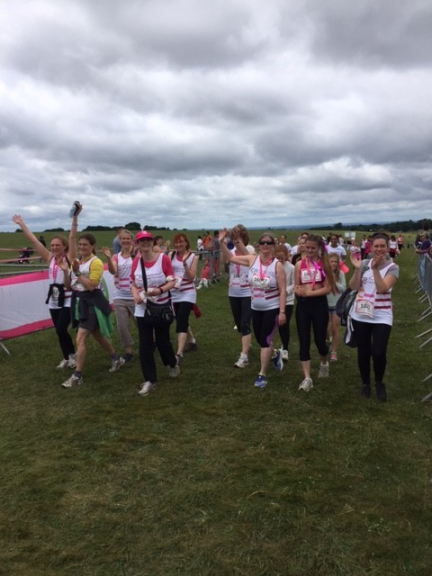 Sarah Parker, Cancer Research UK’s London Events Manager, said: “Life-saving research is being funded right now thanks to the women of Epsom running, jogging or walking at Race for Life. “Our participants play a crucial role in helping to turn discoveries made in the lab into better treatments for patients in Epsom and across the UK and we’d like to thank everyone who took part in the event on Sunday. 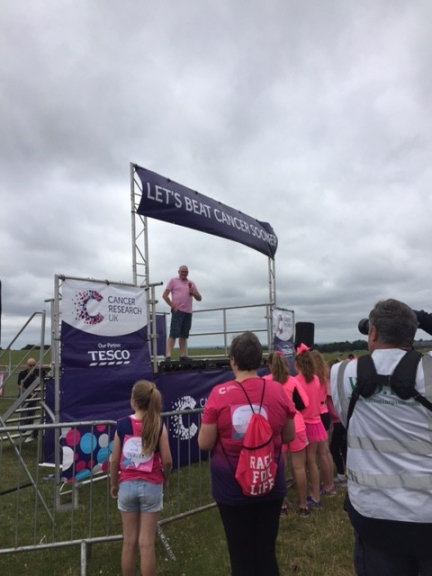 “The atmosphere on the day was electric - full of emotion, courage, tears and laughter - as hundreds of like-minded ladies came together to unite in the fight against cancer. Now we’re asking everyone who took part, and all the friends, family and colleagues who pledged to sponsor them, to return the money they’ve raised as soon as possible. 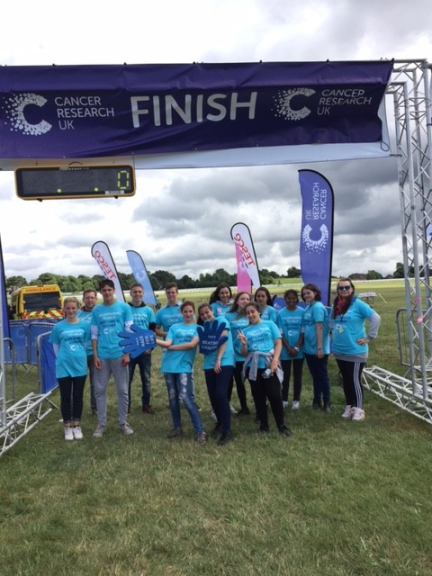 Among those taking part on Sunday were Professor Judith Bliss, Sharon Ereira and a group of their colleagues from The Institute of Cancer Research in Sutton. The group work on Clinical Trials funded by Cancer Research UK, that could help doctors tailor treatment to each individual patient, leading to more effective, kinder treatments. Sharon was sadly diagnosed with inoperable Lung Cancer two and a half years ago and has been under-going treatment ever since suffering from life threatening complications on many occasions.. After completing the race Sharon said ‘I can’t believe I have been able to do this considering how unwell I’ve been and it’s thanks to advances in targeted treatments that I am here today and able to complete this 5K’ and Judith added “It has been such an honour to share today with Sharon and to see her benefitting from exactly the type of treatments which we are studying in our trials”. Cancer Research UK’s life-saving work relies on the public’s support. Thanks to the generosity of its supporters, the charity was able to spend around £129 million last year in London on some of the UK’s leading scientific and clinical research - helping more men, women and children survive.